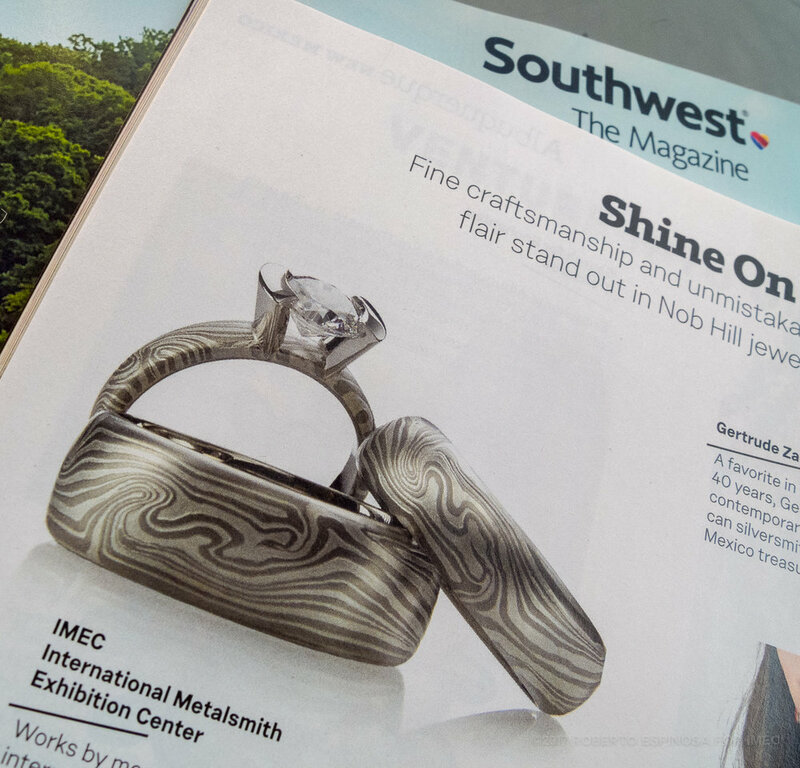 We are so excited to see imec in Southwest Magazine August 2017 issue. 26 pages were dedicated to our growing and thriving city. technological hubs, fantastic food and drinks, the arts, and our access to the outdoors are just a few things that were featured. So many of our friends and neighbors were mentioned. Congrats ABQ! 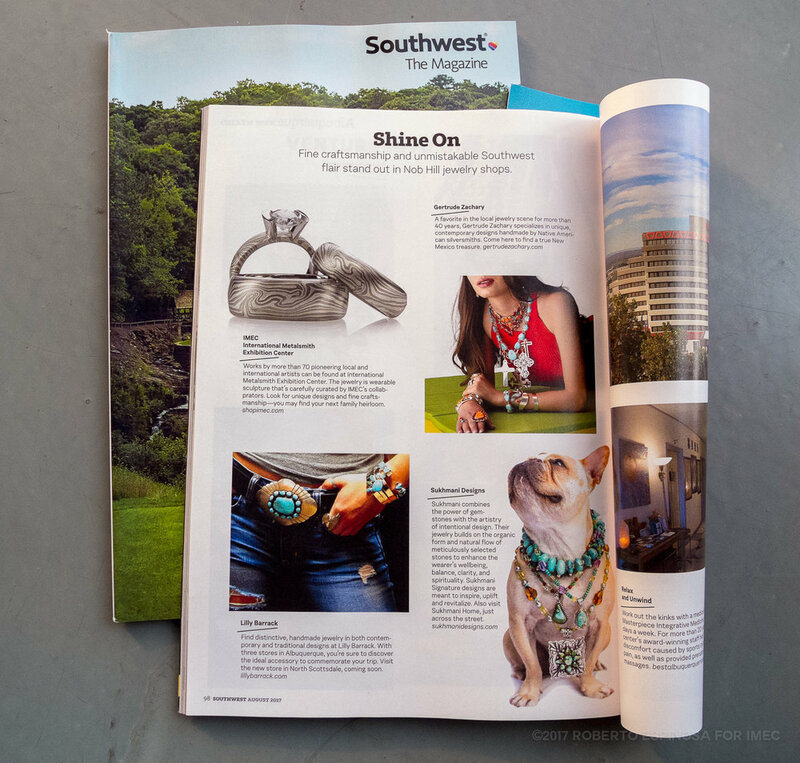 Four jewelers in the Nob Hill district were featured. Whatever your mood or style, your guaranteed to find a gem. Read about IMEC and "the 505" here. Big shout out to our friends and neighbors featured in the August 2017 issue: #GertrudeZachary, #LillyBarrack, #SukhmaniDesigns. 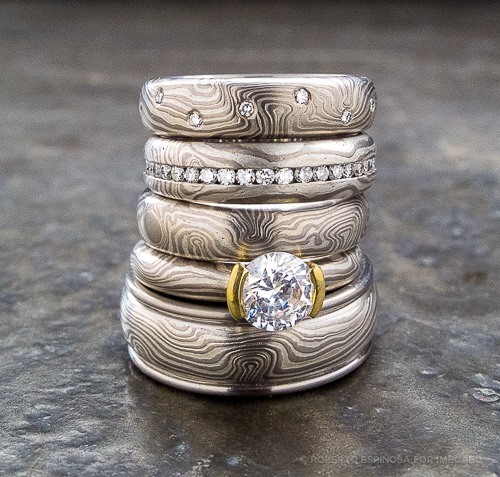 We're big fans of master jeweler George Sawyer. His work using #Mokumegane is the metalsmith technique that gives a "wood like" pattern. Originally used to create #samurai swords and later used as a status symbol. Shop here.